Sweden’s VANHELGA, one of the more extreme and uncompromising exponents of DSBM, and a band that seems to exist at the centre a maelstrom of creative output, is set to release a digital mini album on the 12th March. 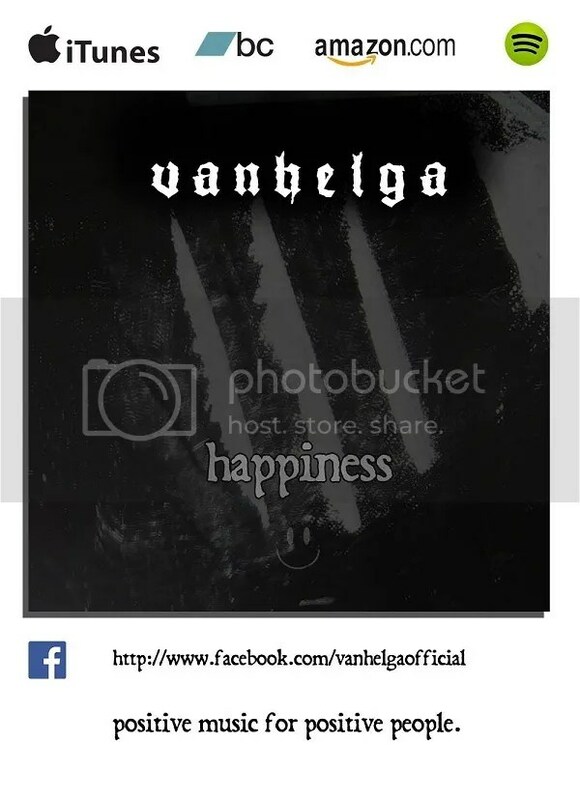 With the band’s sense of irony fully intact, the 5-track album is titled “Happiness” and is available directly from the band at https://vanhelga.bandcamp.com/album/happiness where it will be available at a special price, including wallpaper, for the first few days, as well as from the usual digital distribution and streaming outlets. Commenting on the new release, VANHELGA founder J. Ottosson, aka 145188 (ex-LIFELOVER (live session musician), ex-SKOGSTRON) had this to say: ” My constant need to write and record is a by-product of my mental state, and I am the first one to admit that whilst recording this I was under the strong influence of drugs. This resulted in a piece of work that is an expression of the effect of the use of self-destructive tools like drugs and self-mutilation in order to feel “happy”. Although we have a new VANHELGA album coming out on Art of Propaganda later in the year, I had a lot of material ready that I wanted to get out before then, and so we thought we’d do a digital self-release. Particularly since some of the material on “Happiness” might not necessarily fit in with the more “traditional” VANHELGA sound, and fans might find themselves a bit surprised by some of it”. VANHELGA is also set to appear on an upcoming four-way split with OFDRYKKJA, PSYCHONAUT 4 and IN LUNA which will be released jointly on Art of Propaganda and Talheim Records on the 6th April. Titled “Urban Negativism”, VANHELGA will contribute two new tracks and a LIFELOVER cover to the ten-track album, which will first be released in a digipack format, with a vinyl version likely to appear later. VANHELGA’s next live appearance will be at Kings of Black Metal in Alsfeld, Germany on the 24th April.